Cecil the sea sick sea serpent ! Very few people remember Beany and Cecile. Loved that show. 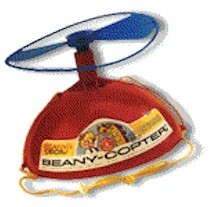 Never had the beany copter but thought it was the coolest!